I enjoy playing with patterns, and Adobe Illustrator makes it easy. Well, mostly, but I won’t nitpick. 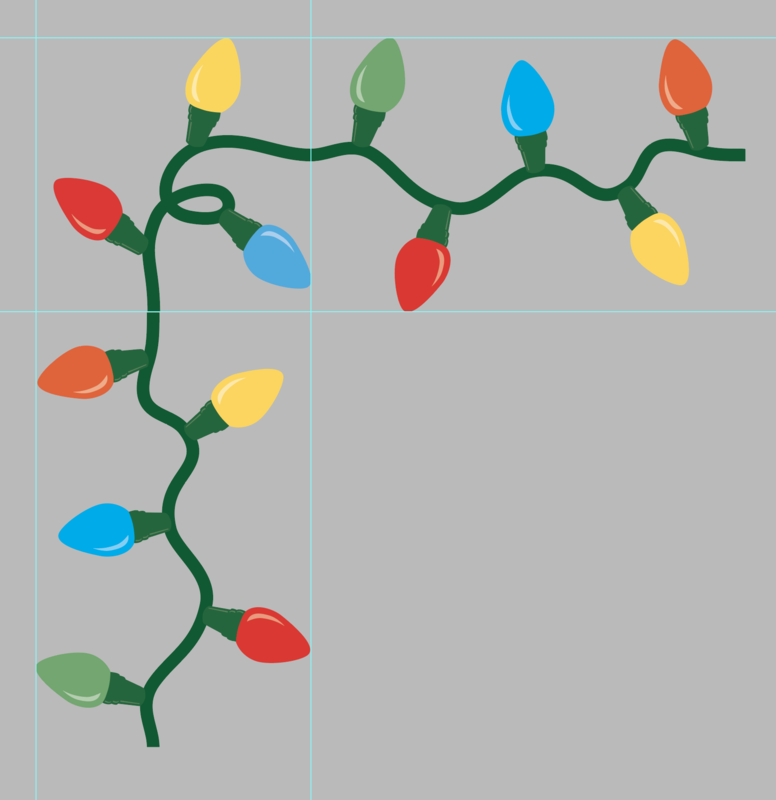 Here’s my latest brush which just simply makes a pattern of repeating christmas lights, as in a string of traditional Christmas bulbs. I needed a small swath of bulbs, so I figured I might as well go full pattern brush, since it will no doubt come in handy at some point. And to increase those odds, I’m sharing it with the world. Have at it, I hope it’s useful. The brush is free, but please feel free to leave a comment if you find the brush useful. Thanks! The brushes palette has four sizes of bulb (25%, 50%, 75% and 100% of what was originally created). I know that can be varied off of just one pattern brush, but I thought this might be easier. I thought about offering varieties of colours, but I figured people can do that themselves if they want. To that end, I left the original pieces of the pattern on the workspace, above the artboard. Feel free to play around and create something better. Or, use as is. Hope it makes your next project a little easier. Hi, yes, it’s an Adobe Illustrator file. 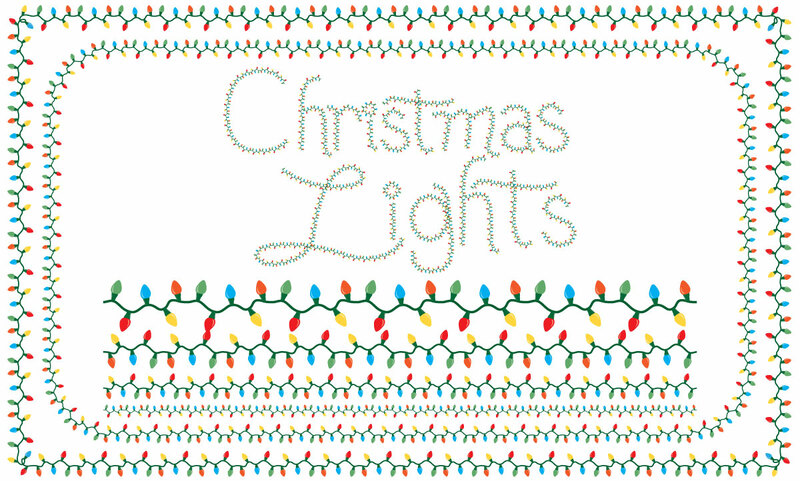 If you open it in Illustrator, you can open your brush palette and you will have three sizes of Christmas lights brushes you can use to draw with or apply to existing lines. Only works in Illustrator though I’m afraid. Glad you like them, you’re welcome! You’re welcome, glad you find it useful. i AM USING 2011 cs5. i HAVE THESE LOADED IN MY BRUSH PALLET, BUT i DON’S SEE A WAY TO USE THEM. Is it possible these will not work with CS5? This is great! Awesome work. Wonderful and helpful brush! Thank you very much and merry christmas. Merry Christmas to you too. Glad you enjoy them!